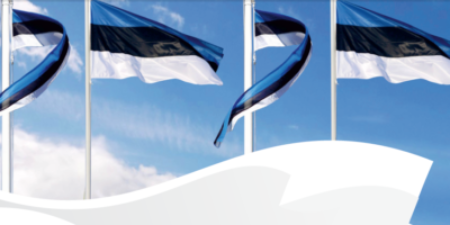 Estonia celebrated 99th years from its birth as a country on Feb 24th 1918. Estonians smiled more than usual on Independence Day. God bless Estonia! How does time fly! 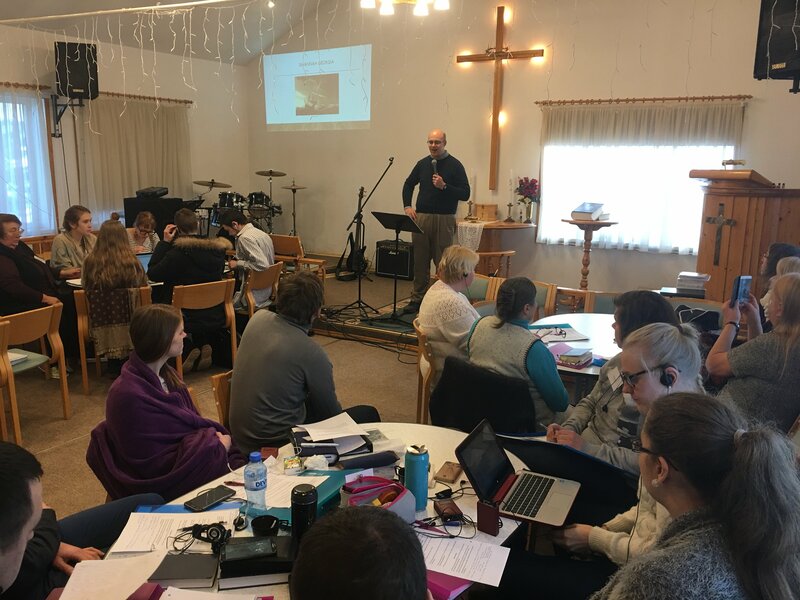 We have so much to share with you about God’s work in Estonia. 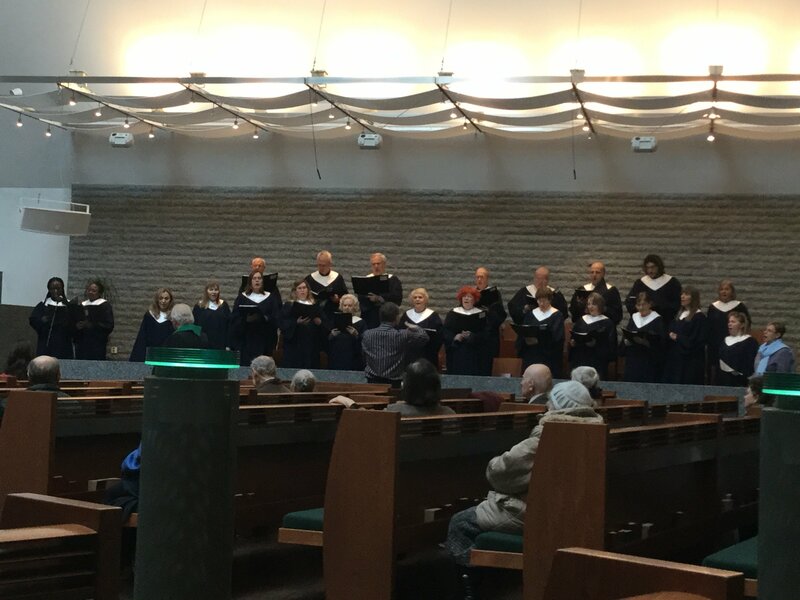 Acts 2 meets at Tallinn Methodist Church twice a month. We began this work exactly a year ago. We offer Christian fellowship, study and prayer. We also provide English translation for Sunday services so our visitors can understand. It is the nature of Acts 2 ministry that people are coming and going. We are happy to meet new people at the beginning of the semester, but we are also sad to see them leave when their term is over. We find, that sometimes people are open to God during such “in between” stages of life. Pray that God would give us creative ideas for outreach. Second, around Christmas, a faithful Acts 2 participant from India renewed his baptism and become a member of Tallinn Methodist Church. Douglas performed the ceremony and the church welcomed him. It was a great joy for all. Sadly, however, he lost his employment in Estonia and had to return to India. We pray that God would provide for him and keep him strongly in Christ. In January Kulli attended a leadership training in Stuttgart, Germany focusing on finding more unity with and love for the neighbor. Present were missionaries working with migrants in Europe. God is clearly up to something new. There is a new wave of Christian communities sprouting up in secular Europe. Please continue to pray for God’s work in Europe! Most of our work entails working in the Baltic Methodist Theological Seminary where we both teach. The Seminary is preparing for an outside evaluation, important part of our accreditation. In the past the government has been happy with our academic level, but somewhat concerned about our financial strength. We ask for your prayers for the government to approve of how we operate. Additional giving to the BMTS at this time would be a great way to support Estonian ministries. Please see below how this could be done. Also, BMTS is working on renewing our working relationship with Asbury Theological Seminary to offer more exciting programs at our school. Pray that God would give us the right vision and resources for this mutual cooperation. Methodist Church started a 1-year Bible School for those who cannot do the entire 3-years of seminary. We have 24 students (Estonian and Russian). We are pleased by its success. Kulli and Douglas both are teaching for the program. Please pray that our students would be transformed and empowered by the Holy Spirit. We know that you are praying for us and we are grateful. We can definitely feel it! Külli celebrated her 39th birthday recently, she is really grateful for all the prayers and good wishes she received. Our kids have at times felt homesick for America. Dealing with culture and language change has been too much for them at times. Karl and Kalev are doing pretty well adjusting. Karl is folk dancing and singing in choir. We ask special prayers for Kristofer. He seems to have harder time adjusting. Pray that we might find a right school for his needs. We are not sure if he is ready for another big change in his life. Douglas is studying Estonian two and sometimes three days a week now. He gave his first devotional in Estonian. Pray for endurance in study! 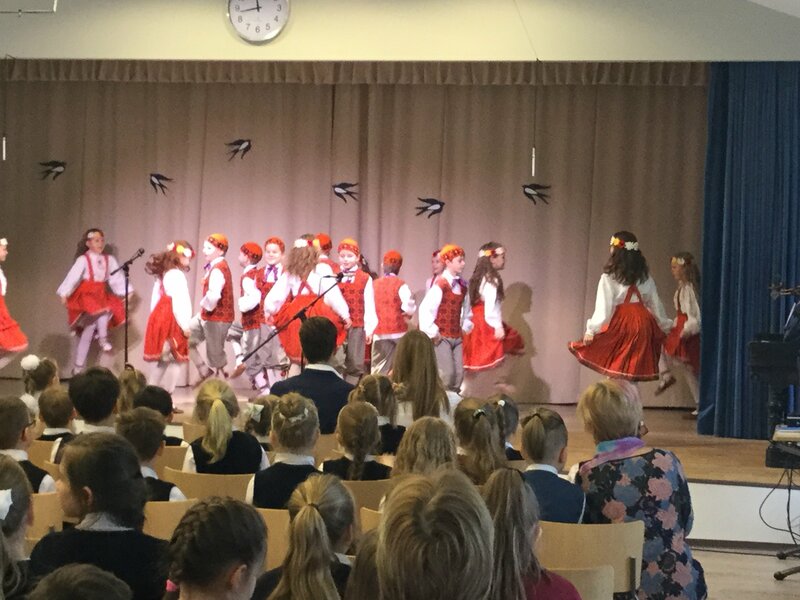 Our son Karl is learning Estonian culture by dancing with an Estonian folk dance group. They performed beautifully on Estonian Independence Day, Feb 24. We are so grateful for the churhes and individual persons who supported us financially in 2016! Together we raised about 14000 dollars in 2016. Our goal is to double that in 2017. Your financial support is a material proof that you believe in God’s mission and our success. We know it takes a special effort to give. Please continue to support us! You can follow our progress from the website listed below.